The success of Amazon Echo and Google Home is partly responsible for the rise in IoT devices. Home owners are now making home automation a reality and creating an always connected smart home. The Smart Home is here. Home networks are no longer just connecting laptops, smartphones, and printers, but also thermostats, lighting, security cameras, locks, baby monitors, and even microwaves. All these connected devices are intended to make life easier, but can be riddled with vulnerabilities, inadequate security, and need to be setup and configured – adding new complexity for consumers. Most homeowners don’t have the skills or understanding to manage the complexity of their home technology ecosystems.That’s where Axius comes in! Axius provides management and cyber security for your Smart Home through a piece of networking hardware called the “Axius Hub”. 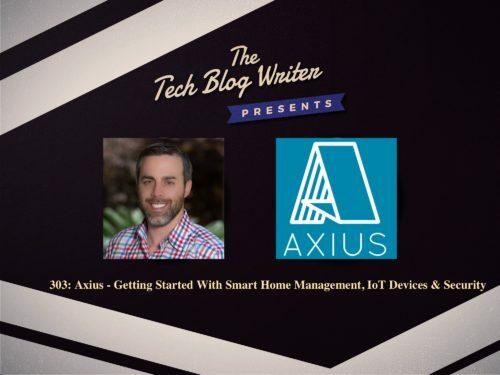 Axius adds support, security, and management for homeowners’ IoT devices. The startup is also attempting to simplify the entire process of managing a new Smart Home to ensure that this technology is available to everyone. In the Fall of 2015, while at Stanford Business School, Colin Barceloux received a phone call from his Dad, who again had problems with his desktop computer. As a Medical Toxicologist, a working computer is vital to his business. Colin began looking for a local technical professional, but Geek Squad had terrible customer reviews, and he felt uncomfortable sending a stranger from Craigslist to his parent’s home. With no other options, he flew to Los Angeles that weekend to fix the problem in person. After this experience, Colin realized there must be millions of other young adults with similar experiences. Manufacturers are rushing to put more and more devices in homes, but no one is thinking about all the new complexity for consumers. In the next 3 years, connected devices in homes will increase over 3 times, homeowners will need services like Axius more than ever.